Here at Workaway we now have an amazing 19,000 + hosts involved in our volunteer exchange projects from all over the world. From agricultural work, scuba diving, yoga retreats and most things in between, we are so proud to be associated with so many amazing hosts. So, we are introducing a new feature to help recognise what a difference cultural exchange can make to travellers and to hosts. Going by the name of ‘Workaway Host of the Month’ we will reveal more of what it is like to be a host and let you into their routines and how their project or business have changed since opening their doors to you guys! Now when you think of Skiathos in Greece, you think of the white houses, the blue sky and the sparkling oceans. It’s pretty high up on most of our bucket lists, so when we heard about a Workaway project there working with kids we couldn’t help but want to find out more. Hi Electra! We are so excited to hear more about your project on Skiathos! What is it all about? 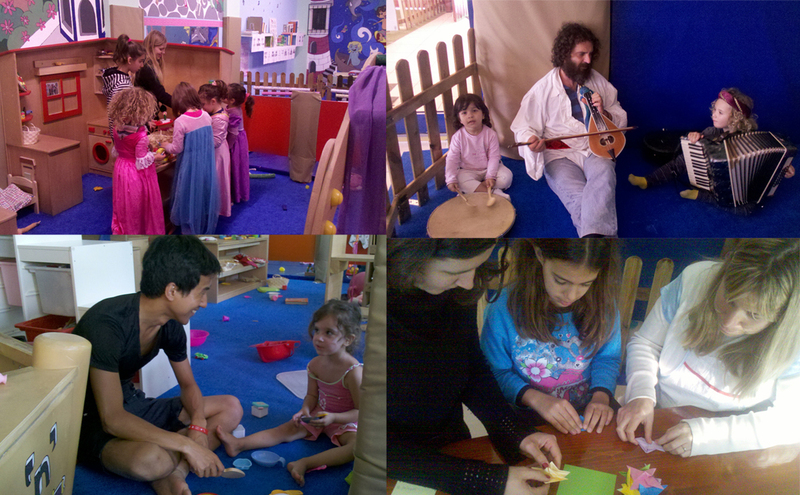 We are a play lounge – a place where kids come to play, play, play! And of course laugh, dance, sing and have fun. Parents are having fun too – even the ones not playing with their little ones! They can drink a coffee or a tea with a vegan snack, have a chat with their friends, play board games, study or just enjoy not having to do anything. Lately, we’ve started providing French lessons too and we’ve just started movie afternoons (with children’s movies) and evenings (for the grown ups). We are now a non-profit cooperative, meaning that we are ready to organise a lot more activities for children with the cooperation of associations from all over the world. YES! This definitely sounds like something we would love (as grown up kids)! How long have you been involved in Workaway and how did you hear about us? Since May 2014. Some travellers had told me about Workaway when they heard about my project. We’ve now had nearly 100 Workawyers since then. What does a normal day look like for you as a Workaway host? In the morning, I work in the island’s high school. So, when I leave for work, the Workawayers can sleep, go for a hike, help in the house, cook or go to the play lounge ( they all love being there so much that they want to volunteer even in their spare time!) Around noon, I go home for a couple of hours and then we all go to the play lounge together – but again, the Workawayers are quite free. There are some things we set the Workawayers to do, but ultimately they are the ones deciding what fun activities to do with the kids. We are also lucky to be located in one of the most beautiful places in the world. I love taking the Workawayers around my incredible town of Skiathos! It sounds like such a fun project! What is the best thing about being a Workaway host? Right now, I can’t travel. Mainly because of the play lounge, so, I bring the travellers to me! We spend hours sharing stories with our Workawayers and the best thing is getting to meet people all over the world. Also, all of the parents and grandparents that bring their kids to the play lounge get to meet our volunteers – some which have never been able to travel before so this is such a great opportunity for them! That is such a great way to keep your travelling spirit alive! You must have some great memories from all the volunteers you’ve met! What is the best thing you have learnt from one of them? Yes! Every one of them leaves something behind, a skill, a memory, something. It’s difficult to choose one, really. A lot of them give me travel advice and tell me about fantastic websites – like yours! Ah, we are so glad they spread the love! 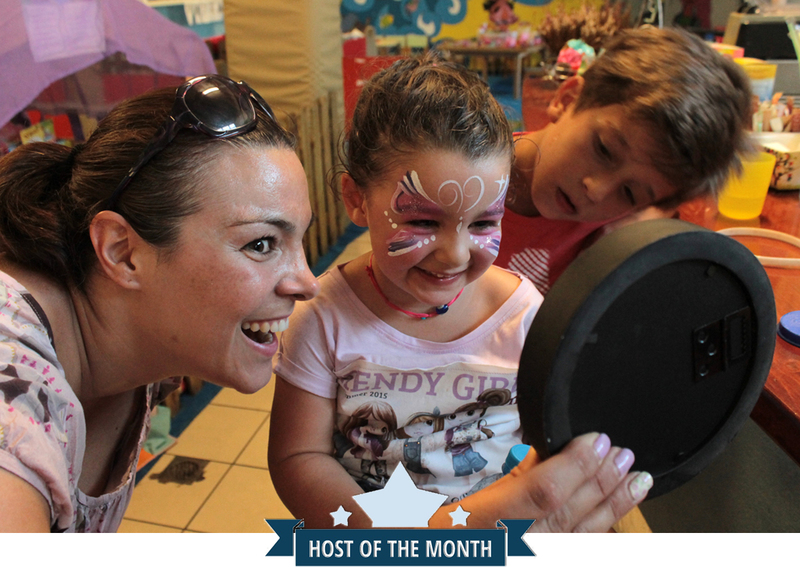 How have you seen your play lounge improved since hosting travellers? It all started with the volunteers – and we couldn’t have made it without them! It is amazing for the kids to get to know new people, to hear other languages and to be able to play with our amazing volunteers! 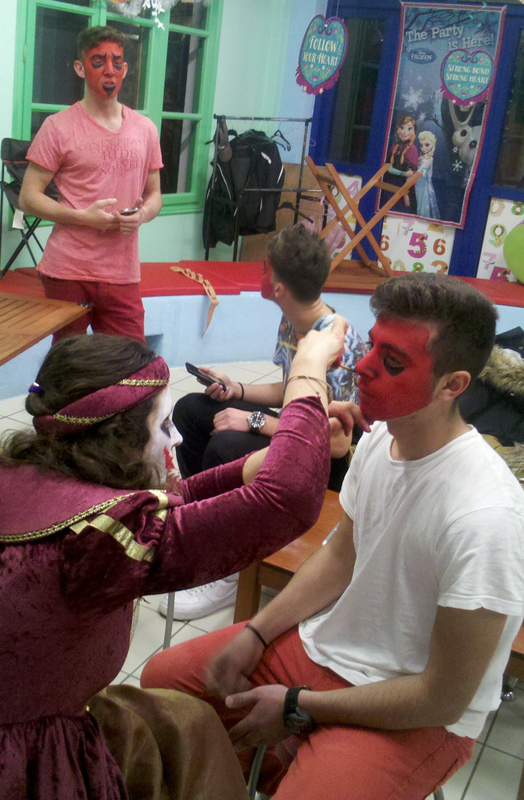 Our play lounge also wouldn’t have looked the same without the help of our artistc Workawayers. The paintings inside and on the fence were made by volunteers who just wanted to help liven up the place – they didn’t do it because it was part of their tasks, but just to help. I don’t think they ever knew what a difference it made and how special it makes the place feel – I still don’t think they know how much it means to us. Our volunteers ROCK! Can you give us one bit of advice for all our Workawayers out there looking for a host? Showing that you read what the host’s profile is about is a must. Also trust your first instincts – If you think it won’t work, it is better not to go than go anyway and end up wasting everybody’s time. Ask questions – about the work, the conditions, about the sleeping and eating arrangements. All of those could avoid some misunderstandings. Don’t be afraid to ask as much as you want! We really don’t mind! Electra, THANK YOU for sharing your story with us. It is so lovely to hear how much you have benefited from hosting workawayers via the site. 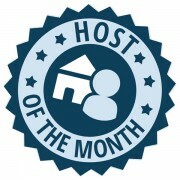 Do you want to be our next WA Host of the month? We are always on the look out for hosts who have a great story to tell! Email us over at community@workaway.info and you could be in our next feature! Getting Over The Post-Travel Blues: Readjusting after your big trip. Went on #workaway, stayed for 2 years.